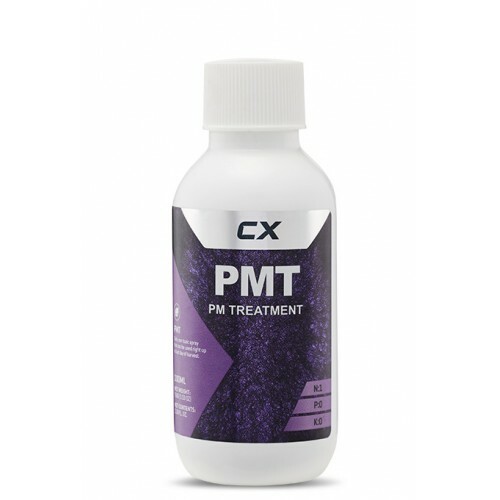 We highly recommend using CX Canadian Xpress PMT (Powdery Mildew Treatment) as a preventative treatment. As already described Powdery Mildew causes a lot of damage so the best tactic is prevention. Just spray Canadian Xpress PMT (Powdery Mildew Treatment) as per the instructions and permanently safeguard your plants against Powdery Mildew. As the leaves are the plant’s food factory, any loss of leaf area means loss of crop. Don’t let it happen.